Mr. PAUL. Mr. Speaker, today I pay tribute to the law enforcement officers of Hays County, Texas. April 8th is the date of the second annual Hays County Law Enforcement Appreciation Day (LEAD) sponsored by SAC-N-PAC Stores Inc. LEAD 2000 committees have been meeting since last October to make this years event even more successful than the last, which raised $7,500 for participating law enforcement departments. As Event Coordinator Cheryl Warren Norton said, With the growing rate of violence, especially among our youth, it is our responsibility and the general publics responsibility to assist our law enforcement officers in areas in which they are in need. The money raised through LEAD 2000 will go toward crime prevention programs aimed at fighting crime and violence on the 8local level. Local law enforcement is the backbone of public safety and protection across America, and I am proud to represent an area that recognizes its law enforcement personnel for the heroes that they are. Some of the LEAD 2000 exhibits are SWAT, Mounted Patrol, the Dive Team, and possibly a Black Hawk Helicopter or Star Flight. The event will be held at the Hays County Civic Center and begins at 10:00 a.m. with an award presentation of bicycles for youth calendar contest winners, followed by an auction and fish fry. Mr. Speaker, I urge my colleagues to join me in saluting our officers in blue across the nation, and I commend the LEAD 2000 organization as a model for other communities. This is an excellent way to show sincere appreciation for those who put their lives on the line for the safety of our communities. 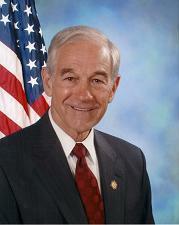 2000 Ron Paul 19:2 on the 8local level probably should be on the local level.